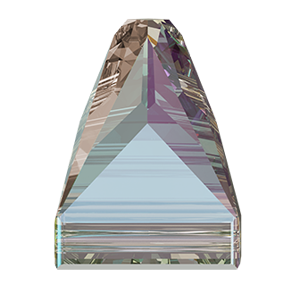 Time to get edgy with this Square Spike sew on stone from Swarovski. These stones echo the trends of a rebellious attitude and can be mixed and matched to create unbelievable designs. Available in different colors and heights, mixing the colors and heights offer new textured design possibilities. The holes are positioned at the back of the stone making the thread less visible. The height of this spike is 13.3mm high. Swarovski 3296 Spike Square Sew-On Stones are made of "Advanced Crystal" and are lead free and compliant with international standards.